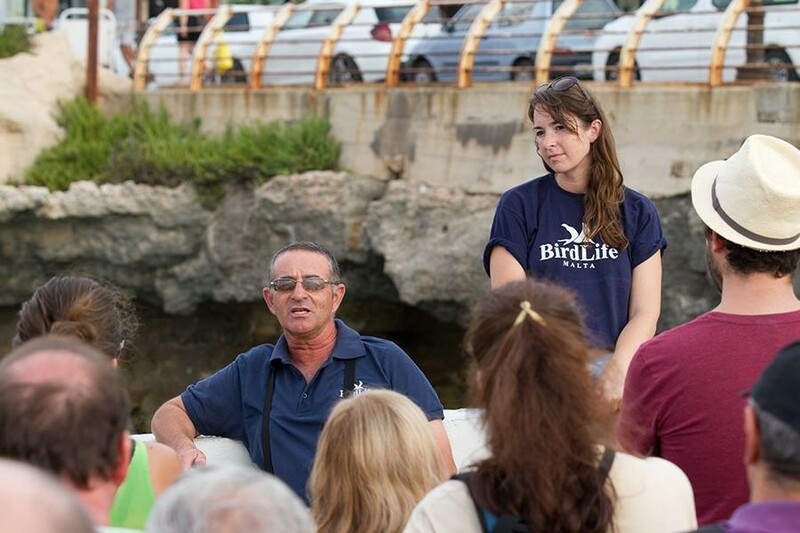 Once more, Birdlife Malta organised its annual Shearwater boat trips to see the Scopoli’s Shearwater (Ċiefa) (Calonectris diomedea) colony just off the Ta’ Cenc cliffs, Gozo. With the breeding season of one of Malta’s Seabird well underway, the trips were an opportunity to witness one of the most spectacular natural phenomena in the Maltese Islands that happens every year just off the coast of Gozo. Malta is home to 5% of the world’s Scopoli’s shearwaters and Ta’ Cenc alone is home to around 1000 breeding pairs of Scopoli’s Shearwaters. Despite the threat of rain and a possible thunderstorm on a couple of the tours, there was a great turn out over the 4 dates in July and August, with over 400 people being able to witness the amazing sight. 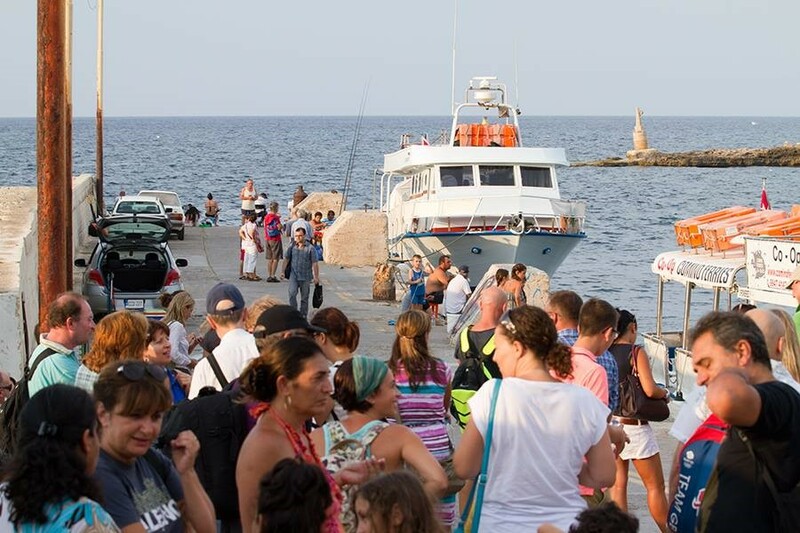 Crowds gather prior to boarding the boat. Photo: Steven Williams. Before setting off on the trips a brief talk was given regarding where the boats were going, what would be seen and a little bit about the current EU Life+ Malta Seabird Project and its objectives. If you would like to learn more about the project and its study species you can do so by clicking on the links. Raymond Vella and Caroline Rance give an brief introduction before one of the trips. Photo: Steven Williams. 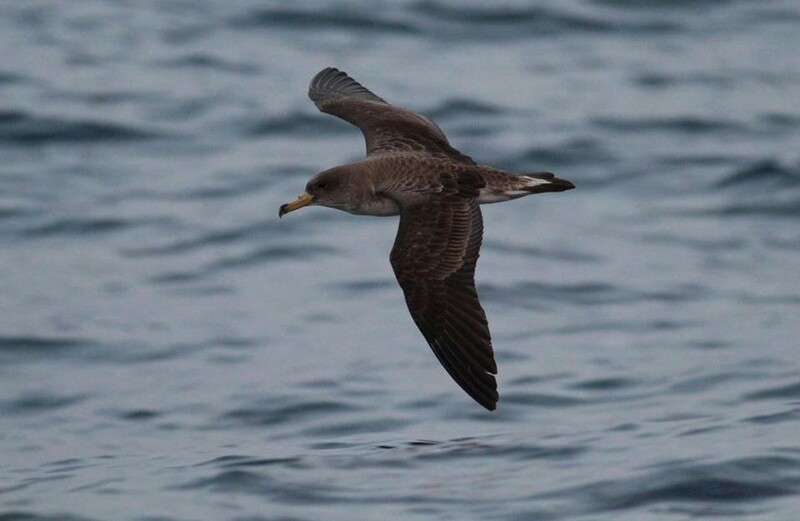 At this time of year large numbers of Scopoli’s shearwaters gather around dusk, close to their breeding sites, after spending the day far out at sea fishing for their one and only chick. This grouping of seabirds is known as rafting. As the sun starts to set, rafts move closer to the cliffs. It’s not until total darkness falls before the Shearwaters enter their respective burrows to feed their chicks. The first chicks hatch around mid July and will remain in the nest until around mid September when the adults start to visit the nest site less frequently in order to try and lure the chick out and take its first flight. By early to mid October most birds have fledged and colonies become deserted. As we approached the cliffs, small rafts came into view with the occasional bird shearing above water’s surface. A few came close enough to the boat to allow people to truly witness the amazing spectacle. After a period of time, larger rafts were soon seen surrounding the boat. A Scopoli’s Shearwater (Ciefa) shearing past the boat. Photo: Tim Micallef. Feedback showed that everyone was amazed at the sight of these wonderful seabirds, and for many attending, it was their first time seeing this magnificent seabird and what better way to see it, than with an amazing sunset lighting up the sheer cliffs with a magical golden glow. 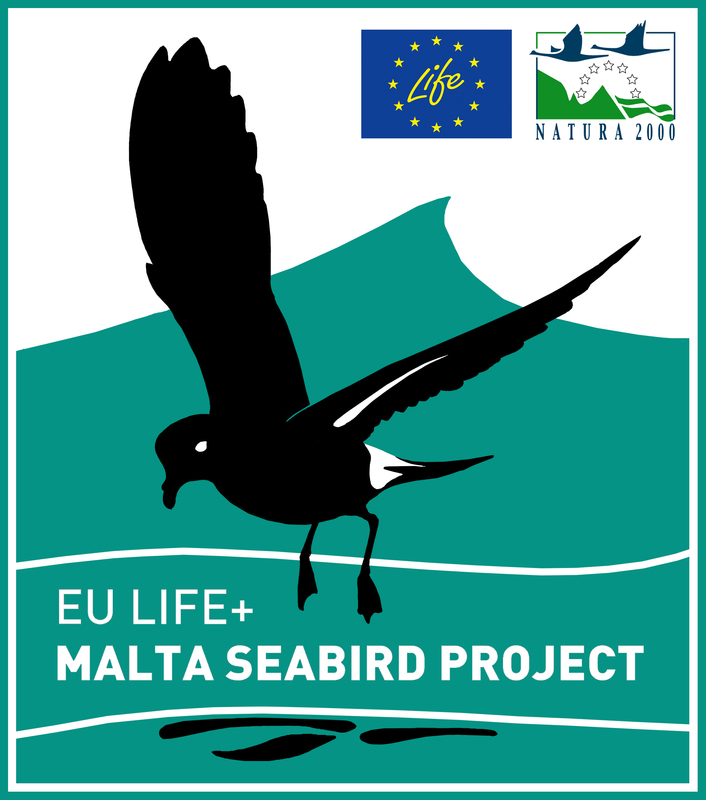 Whilst there will be no further trips to the cliffs this year, you can follow the Malta Seabird Project and Birdlife Malta on Facebook and Twitter to keep up to date with what they are getting up to and get a heads up to any upcoming events.